One of the fastest growing digital advertising strategies in the world is Facebook Advertising. Here at White Echo, every client we provide a service for comes with a strong Facebook Advertising Campaign. With share holders to please, Facebook have repeatedly stated “the free ride is over, business need to pay to maximise their content”. For many years now, Facebook’s algorithm has identified trending businesses posts allowing companies to reach a greater audience without having to pay through services such as boosted posts and sponsored stories. With the latest timeline change – June 2014 – Facebook has positioned their algorithm to not only support good content but also assist the reach of business page posts who allocated a budget. 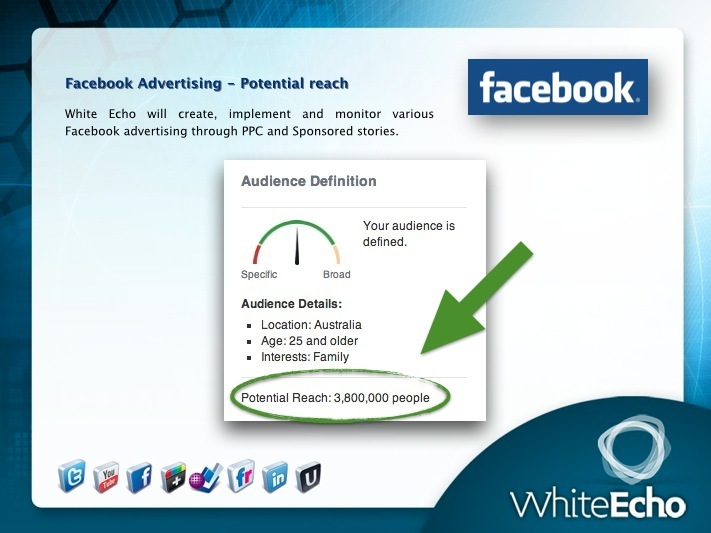 White Echo has been implementing Facebook Advertising strategies for clients since February 2010. The targeting for specific demographic, the specific targeting it provides for businesses whether on a local, national or international level is extremely powerful, that’s if you know how to implement it. 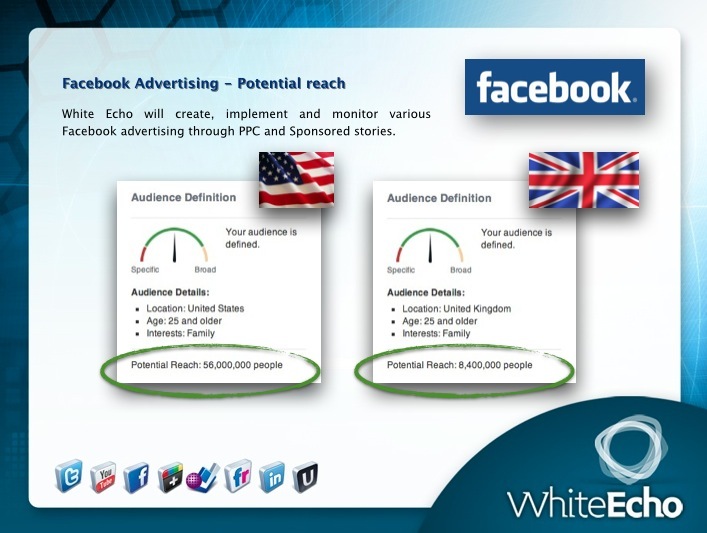 Through various techniques, split testing and daily monitoring, White Echo provides in-depth strategies to assist in the growth of our clients Facebook pages. Below is an example of that power and strategy implemented for a client over December 2013 – January 2014. The strategy was created, implemented and monitored daily from White Echo allowing the clients pages to gain 6,600+ new likes for their Facebook page in 2 months. White Echo designs, creates and implements the most effective Facebook advertising strategy to reach the preferred target market.